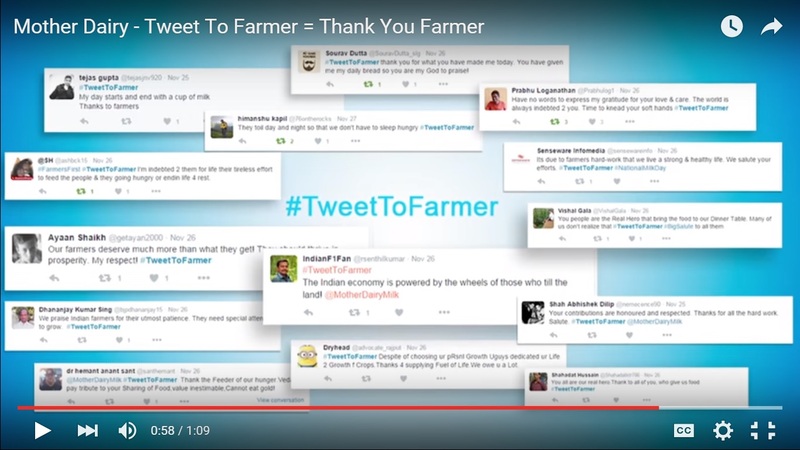 #TweetToFarmer an initiative by Mother Dairy Milk! 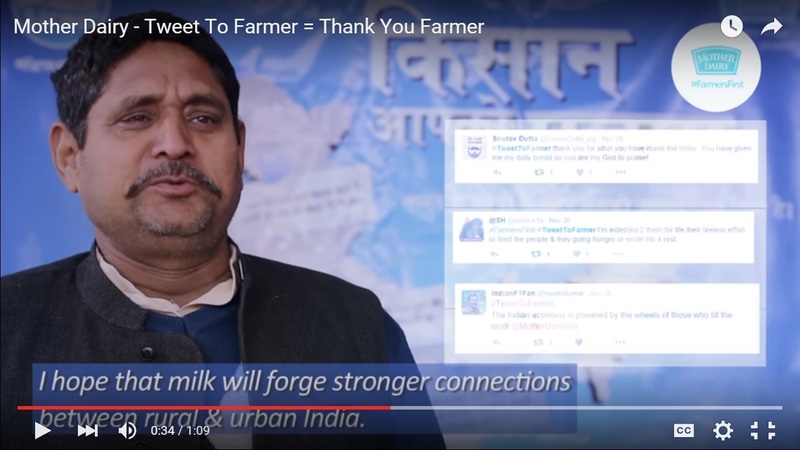 Happy to be featured in the video by way of a tweet and love the happiness of the farmers featured there, without whom we wont have our daily food or rather daily milk! This was a part of celebrating the Birth anniversary of Dr. Verghese Kurien the Man who made the Operation Flood a success that has made India the largest milk producing country in the world. It feels lovely to see the video and those smiles and heartfelt messages, from them that they will keep them safe and cherish those messages made me overwhelmed. It was humbling to see those faces. #MotherDairy celebrated India’s Milkman – Dr.Verghese Kurien’s birthday, by connecting urban consumers to the dairy farmers with a social initiative called #TweetToFarmer. I loved tweeting to Farmers and for all we know we don’t give them their due. Happy to be a part of the video!